NASHVILLE -- Chris Stapleton could go home with quite a few trophies at this year's CMA Awards. The "Broken Halos" singer topped the nominations, which were announced on Tuesday, with five. Other artists who could win big include Jason Aldean, Florida Georgia Line, Miranda Lambert and Keith Urban. Carrie Underwood and Brad Paisley will host the CMAs, which take place in November. 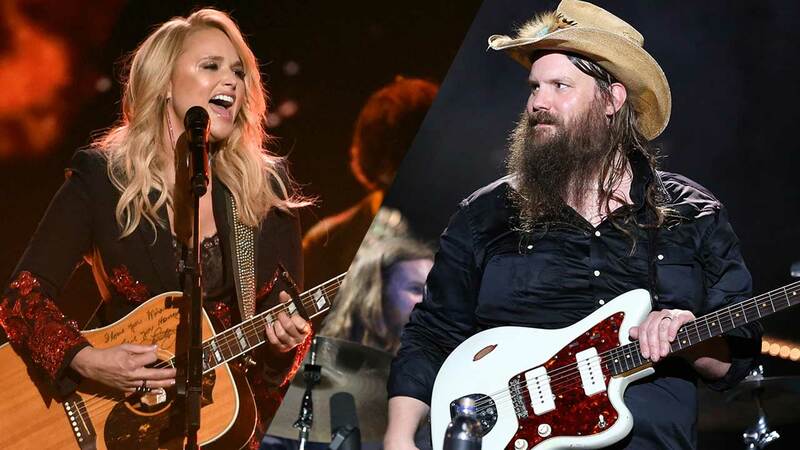 This will be the duo's eleventh year hosting the Country Music Association's annual award ceremony. Catch the 52nd Annual CMA Awards Wednesday, Nov. 14, at 8 p.m. ET | 7 p.m. CT on ABC.